In August 2015 we asked the design firm Good, Form & Spectacle (G,F&S) to work with us (and our metadata) on a month long web development project. The result was What’s in the Library? 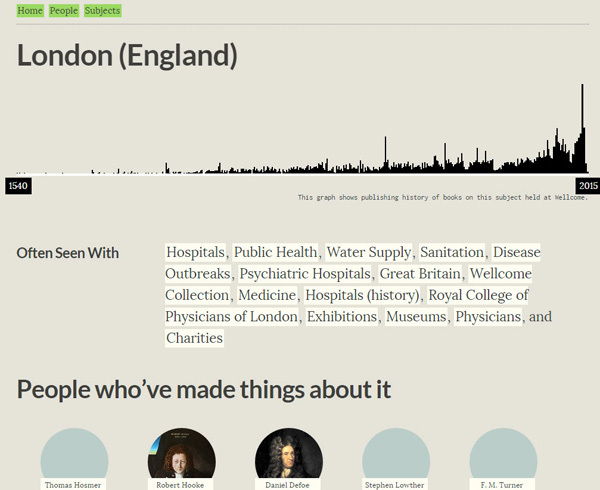 – four prototypes of tools for exploring our collections online. With the project finished, I asked George Oates, Director of G,F&S to reflect on her experience of working with the Wellcome Library. You have worked with museum collections before, did you find any difference in working with a library collection? I love the way that institutions can so directly reflect their original creators, and in the case of Henry Wellcome, the collection portrays him beautifully. Both his interest in medical history and his ‘gentleman explorer’ tendencies come out as strong themes. It’s slowly dawning on me that most libraries also have physical object or art collections, and museums often have libraries attached to them, but they’re traditionally still managed somewhat separately in terms of metadata. It probably makes sense to draw a line between things (art objects, specimens, original objects) and copies of things (books, etc)…. A record from our library catalogue and its MaRC record below. In terms of metadata, I’d had some experience with MaRC — and other library metadata formats — thanks to my work on the Open Library project at the Internet Archive. We worked to ingest about 30 million records from a variety of sources, which included a bunch of work on de-duping authors and other things. So, I’d probably suggest I know enough to be dangerous when it comes to MaRC. It was interesting for me to work Frankie and Tom and MaRC. They were unfamiliar with the format, and, knowing how detailed and woolly it can be — especially for newbies — in Week 1 I encouraged them to try to keep their interface to it as abstract and programmatic as possible. 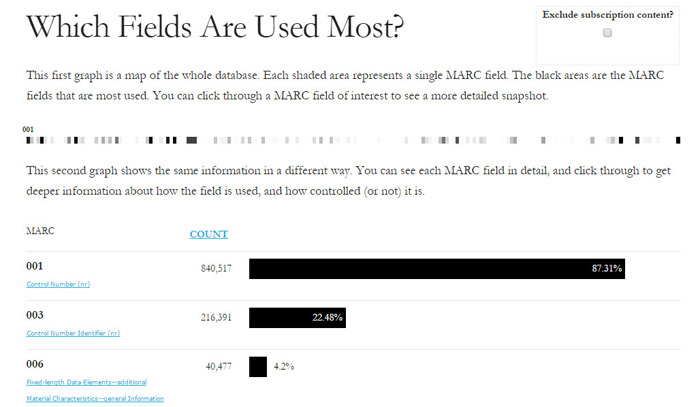 The visualisations we made of the usage of the all possible MaRC fields was interesting, and revealed that Wellcome Library only uses about 180 of the available fields, and even then, less than 10 of those fields across all records. I find this curious. What’s in the Library? Week 1: Scope of the Collection. 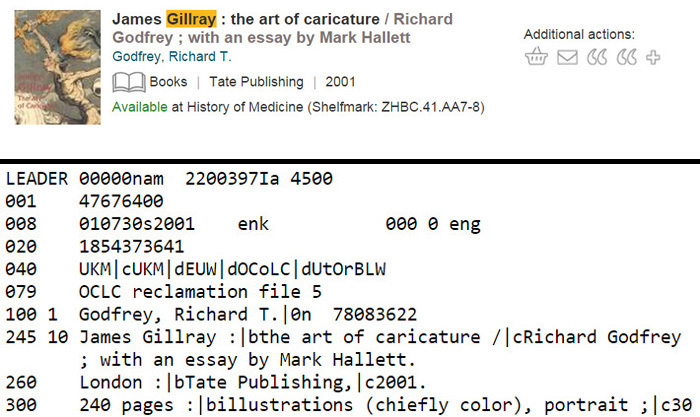 A visualisation of MARC fields used in the Library catalogue. We were also dealing with a dataset that had things other than books in the dataset, and it was clear that they’d been jammed in a bit. I was completely unaware that you have a remarkable art collection especially gathered over the last 40 years or so, as well as detailed archives from scientists, including correspondence and so forth. It was very useful to witness how the creators of these other types of data just basically smeared the precious structure of the MaRC format, for example, in the case of an archival record, the descriptions of things is a bit more verbose and narrative; something that would never fit on an index card, and therefore a bit alien to the MaRC format. I think it was something to do with that MaRC coverage I mentioned above… that the library wasn’t actually using the True Power of MaRC, or was to only a limited extent. Part of the research we’re doing at Good, Form & Spectacle is about seeing what gold we can extract from the generally dry metadata ore in most cataloguing systems. We’ve witnessed more than one institution struggling a bit with the IT systems infrastructure and workflows they’re using, and — not that I’d describe Wellcome as struggling, but far from it — this kind of level of usage or coverage of the standard metadata system used across the world in libraries feels to me like it’s not quite working, but it’s such a widespread “standard” that it’s hard to stop. There are all kinds of service companies built up around massaging MaRC (and creating authorities etc) too. Maybe that kind of outsourcing is a direct result of MaRC showing its age. Having said that, it was brilliant to meet the cataloguing team at Wellcome. It’s always useful to meet with people at the coalface of maintaining datasets with high touch expertise. There really is nothing like a human librarian to help you understand a problem or find what you need, so thank you June and Branwen for working with us upstarts. Did you achieve all that you wanted to and is there anything you would do differently? I’m very happy with what we produced in our month together! Frankie, Tom and I all enjoyed working at such a fast pace. Indeed, it was one of my secret goals to see just how much we could churn out for you, because I think there’s a broader point to be made to institutions who normally outsource software services. If you have warm bodies in the building who can make digital things with you, you can get a lot done, and it’s often cheaper in the long run than paying other companies or people to do it (even though that’s what happened here, of course! 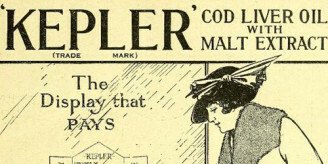 ), and it would also keep The Knowledge in the building. What’s in the Library? Week 3: Context. 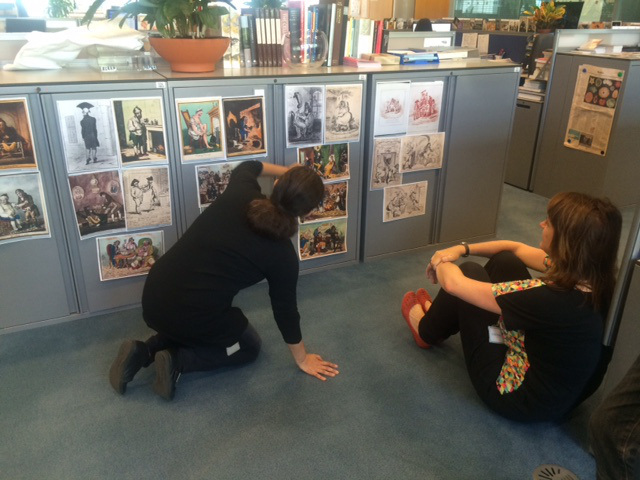 Lalita and George discussing content for the Gillray webpage at the Wellcome Library. If there was one thing I could have done a little bit differently, it might have been to get more engaged in the work that Jenn and Alex [Green] and the team are doing around transformation. In some ways, we were your builders in the exercise, but it’s also useful to be involved at the architectural level (where there’s communication and design work to be done showing the work and turning that into action internally). In any case, it was interesting and fun to meet the broader group of Library staff who were all superb and engaged in what we were up to. What advice would you give to anyone starting out on a digital collections project such as What’s in the Library? In my experience though, it is a useful exercise to go through the process of trying to pull whatever metadata system you’re using out of its often-quite-barnacled workflow so someone external to your systems can use it. In the projects G,F&S has built so far, there’s been a bit of fiddling at the start to get this moving. The point is, if you’re able to separate your metadata from its enclosure, it’ll be looked at more, and potentially improved upon by external parties who can help by reflecting it back to you. An example from What’s in the Library? Week 4: Scaling the Work. Another thing that happens practically every time is that, when you have this sort of external reflection, you will often be presented with questions or even errors in your data that you might not have seen before. I was struck by Branwen’s observation that it’s rare for her to see the catalogue in an aggregate view, instead of record by record. A lot of our work is in presenting that Whole [Earth] Catalogue back to you, and which, so far, has always revealed new secrets in the structure of the data. It was also great that this project was set up to support us doing rough work, work that wasn’t explicitly ‘production-strength’. This is useful because it lets you sketch things in code, or make things that may break or degrade. This sort of work becomes useful to demonstrate ideas rather than particularly be resilient. It’s something about using software and experimentation to generate conversation, as part of a larger discovery phase, perhaps in a more traditional design process. There also needs to be a reason to do it. If your boss isn’t into it, it might be a waste of time, but then again, you’d be joining a growing community of institutions who realise that things have to change, particularly with regards to the internal machinations of institutions and their comfort (or eloquence) with digital tools. Anything else you’d like to say about your experience of working with the Wellcome Library?